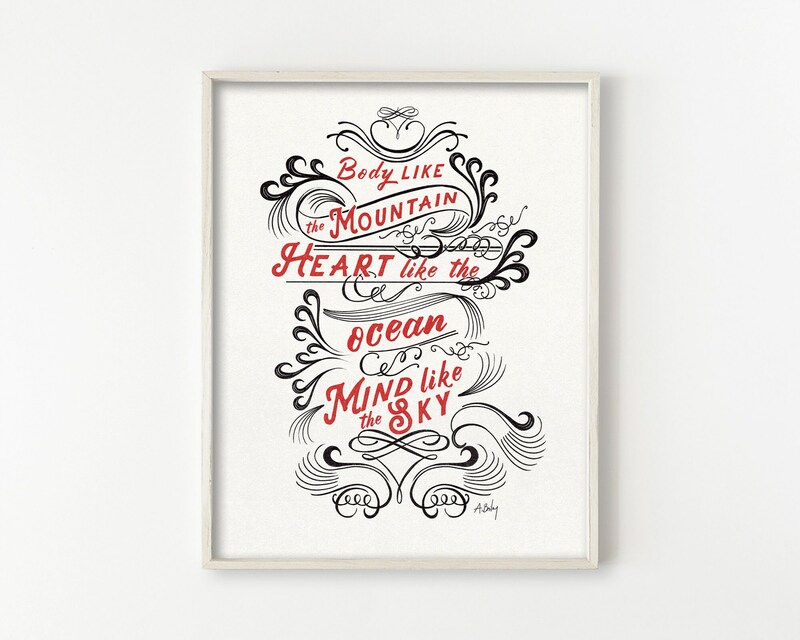 "Body like the mountain, Heart like the Ocean, Mind like the Sky." 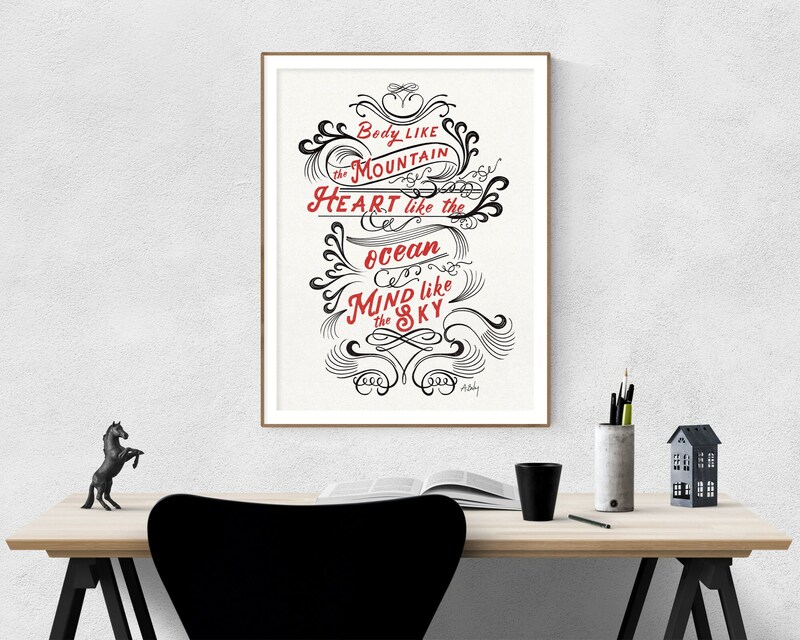 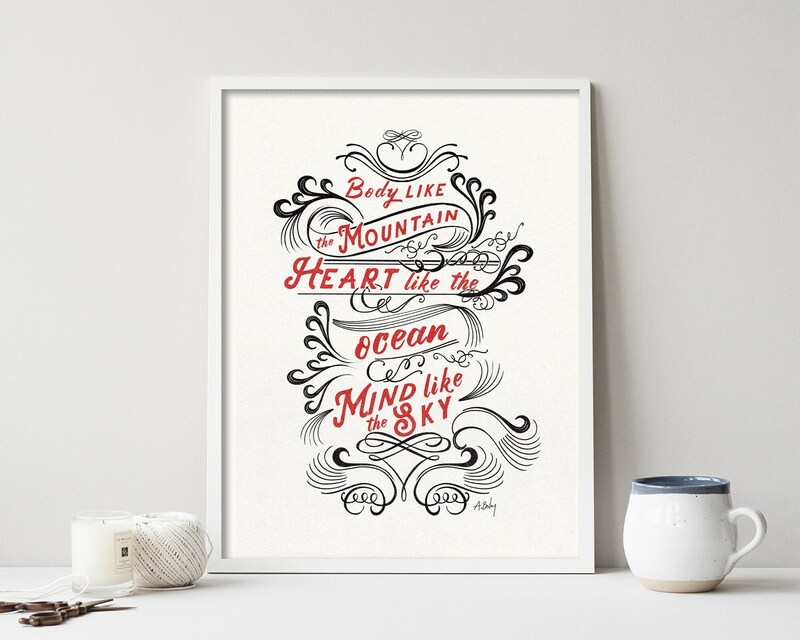 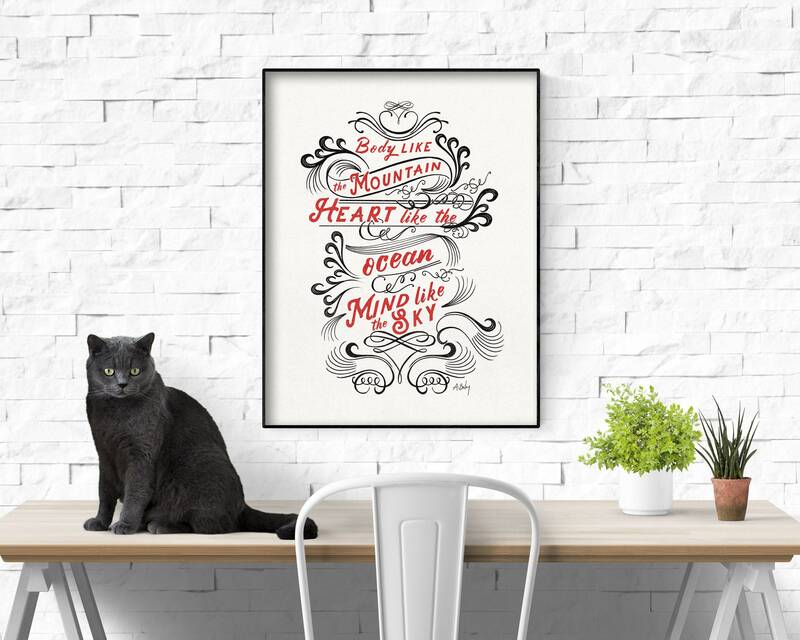 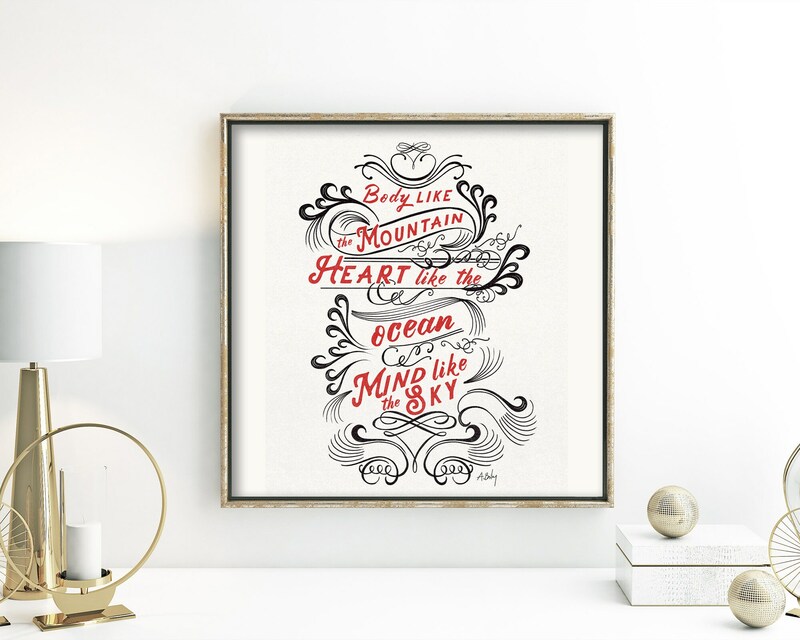 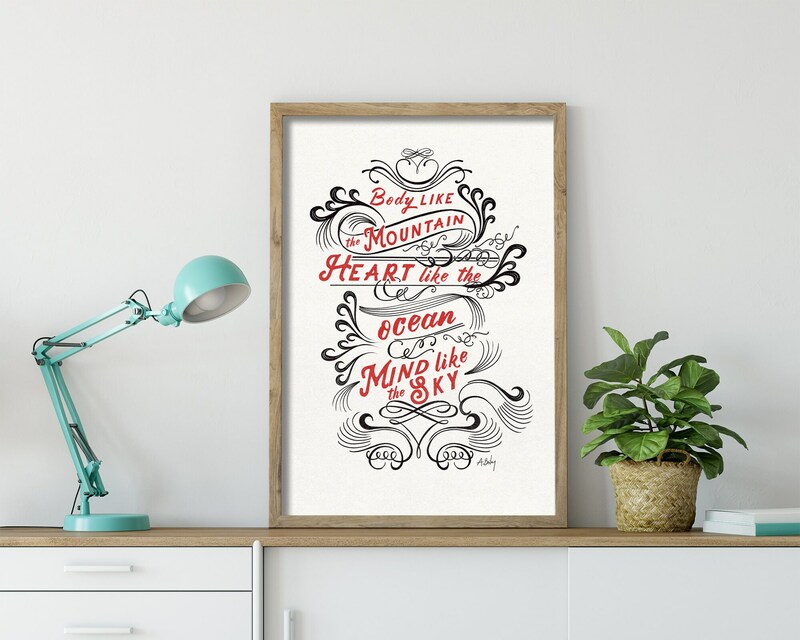 These beautiful words inspired me to do this calligraphic rendering of the quote that reminds us to be strong like the mountains, have a heart as deep as the ocean, and a mind as open as the sky. 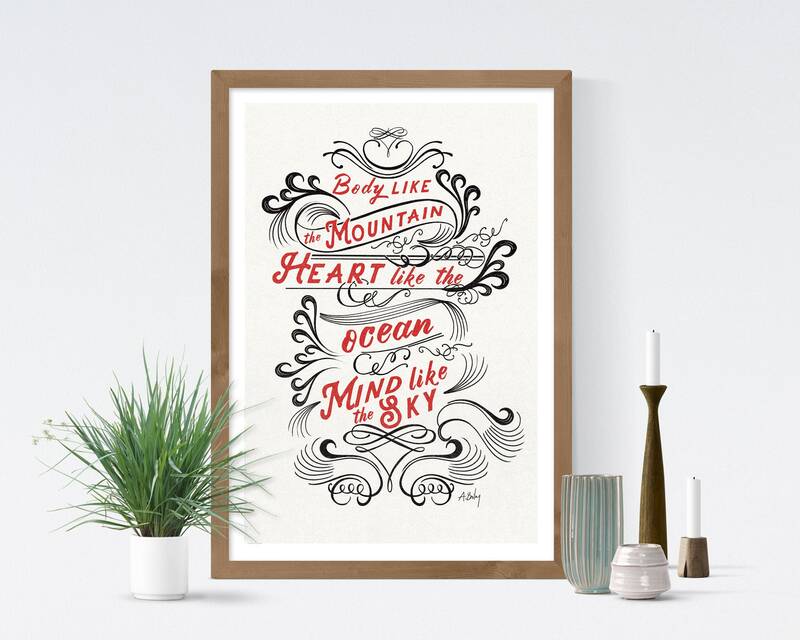 This would be a perfect gift for those who love nature and have a connection with all things outdoors.